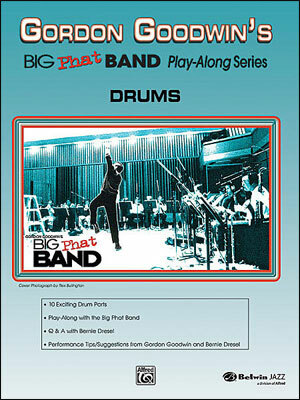 Gordon Goodwin’s Big Phat Band Play-Along Series, Volume 2 teaches you the art of ensemble playing. 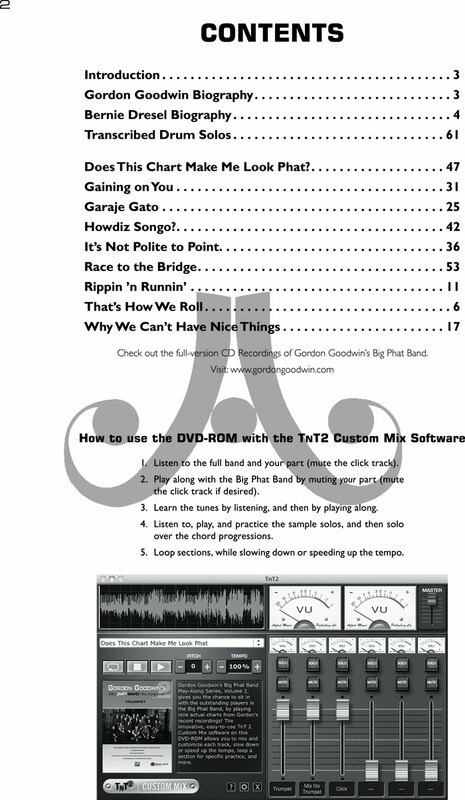 Using actual charts from Gordon’s recent CDs, you will learn volumes of information about style, phrasing, tone, dynamics, technique, articulation, playing in time, and improvisation. Stylistically, the charts include swing tempos from medium to very fast, and funk and Latin grooves. 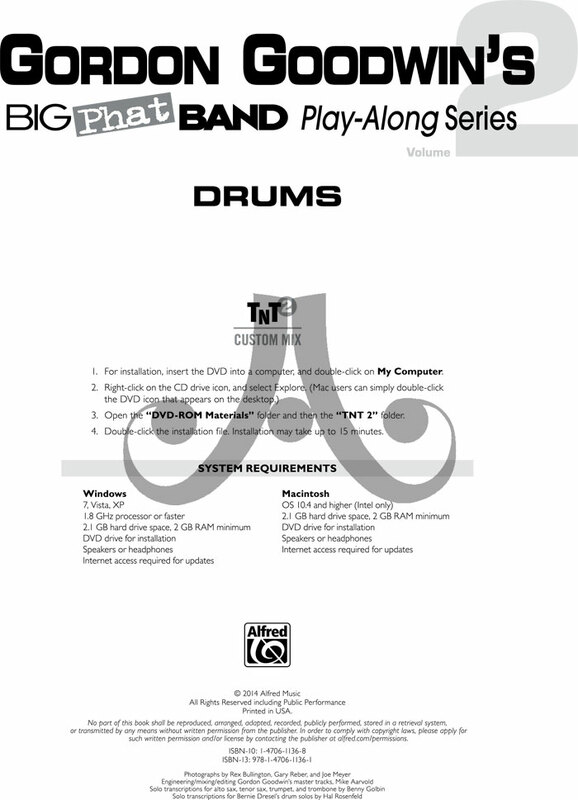 Five books are available: alto saxophone, tenor saxophone, trumpet, trombone, and drums. Each book contains solo sections, with chord changes for horns, and transcriptions of recorded solos by the Big Phat Band's lead players. 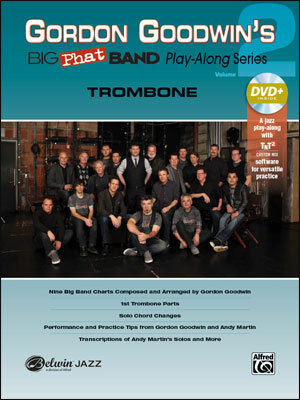 And the TNT 2 Custom Mix software on the accompanying DVD-ROM lets you listen to and play along with the outstanding players in the Big Phat Band. 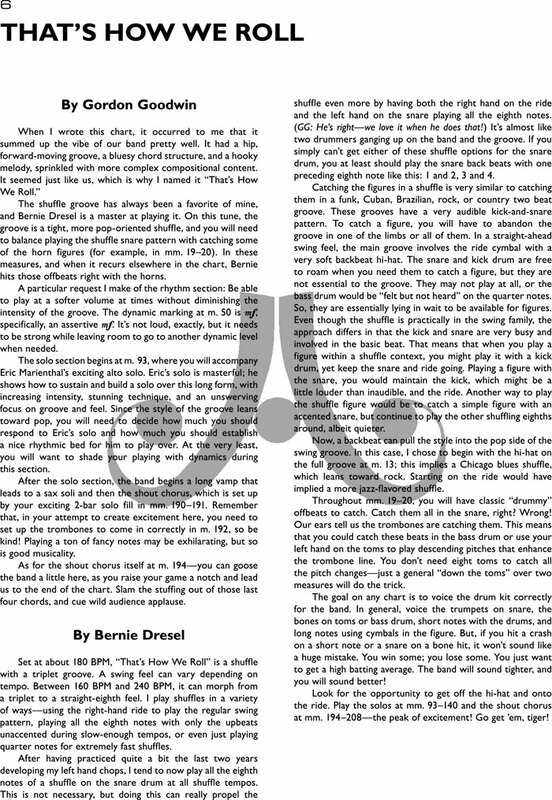 Does This Chart Make Me Look Phat?